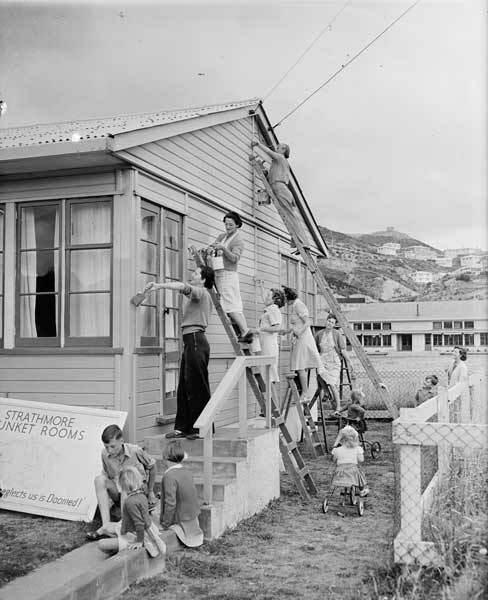 A group of Wellington mothers paint the Strathmore Park Plunket rooms in 1950, while their children play nearby. Women members of the Plunket Society, set up to promote the health of babies and mothers, did much of the fundraising and practical work required to establish nursing and other support services. In the process, they often made lasting friendships.